Hello and Happy Friday! I am on the road as we speak heading to Oklahoma for a week to visit my family. 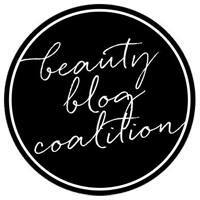 I have some guest posts lined up, as well as a couple scheduled posts from me. 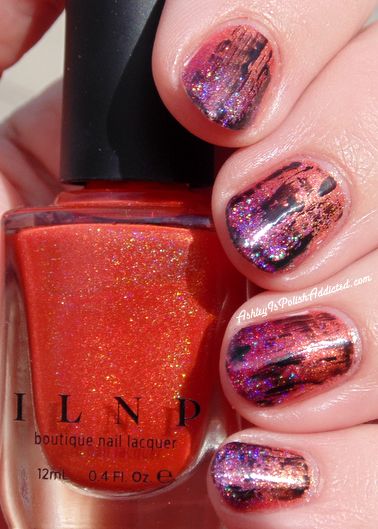 I am hoping to squeeze in one more Halloween mani, but it is not looking promising so I'm glad I have this one to share with you today! 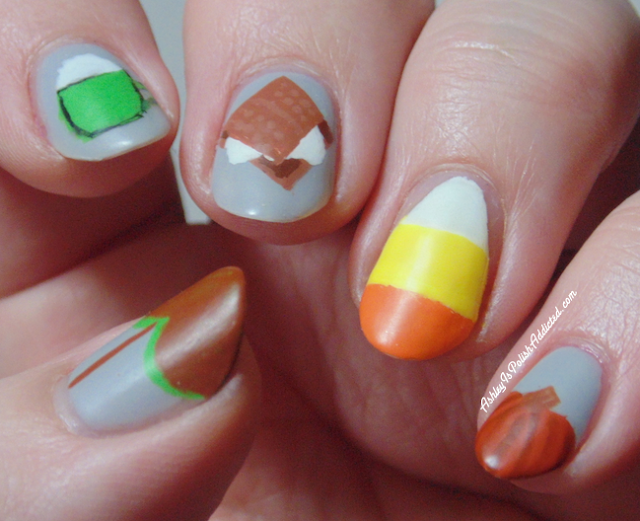 This week's prompt for 40 Great Nail Art Ideas is, of course, Halloween! I had a few ideas in mind for today but no time to execute something detailed so I went with a quick but fun favorite - a dry brush mani! Hello everyone! I feel like it's been forever since I posted a collection review. Life has been slapping me upside the head lately and I feel like I've been a pretty crappy blogger. I'm hoping to be able to get back on a more regular schedule soon. I am going to be out of town next week but I have some guest posts lined up for you, as well as some posts scheduled from me. Hopefully I will be able to get caught up very soon! Today I have a collection that launched a few weeks ago and is currently available! This is my favorite type of collection - a wide variety of colors and finishes so there is something to please everyone! I have a lot of photos so keep on scrolling for the Darlin Diva Hug My Face Collection! Hello! 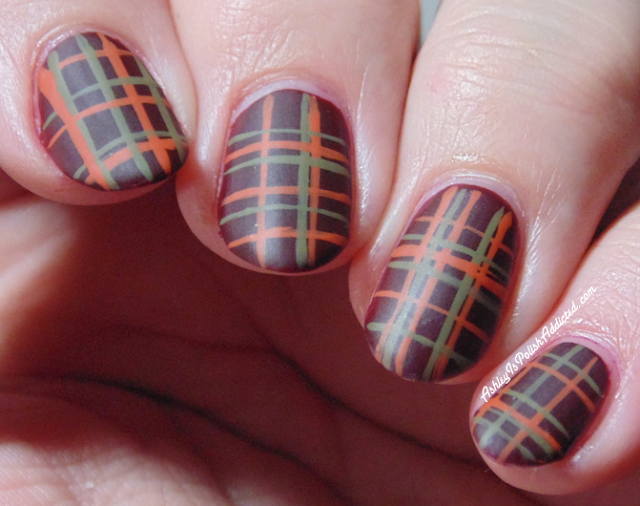 I am late with this week's 40 Great Nail Art Ideas challenge, but better late than never, right? I had grand plans this weekend that went down the drain due to being sick. But I did this mani on Friday and couldn't wait to share it with you! The color prompt this week was orange, purple and green and my pattern prompt was fluid lines. 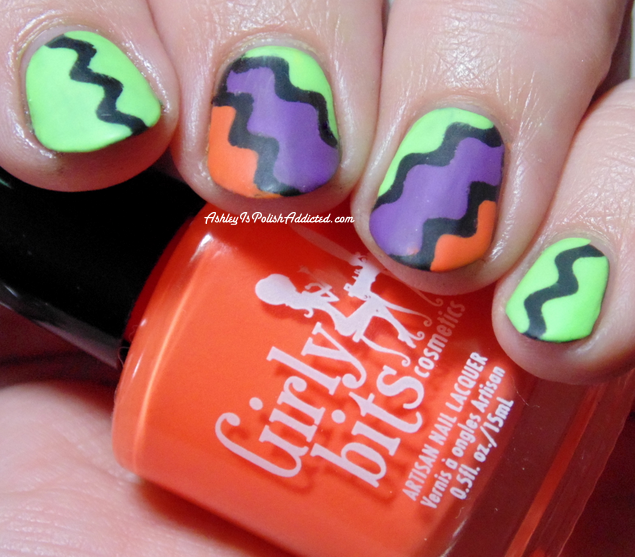 I just had to break out my Girly Bits neons again for this mani! Hello and Happy Saturday! 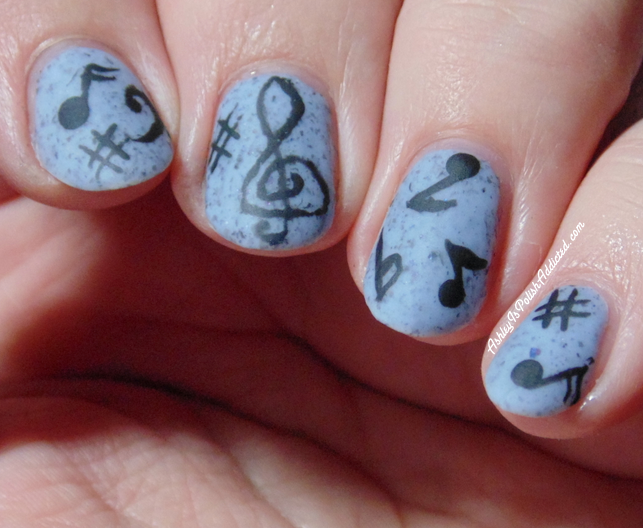 This week's theme for 40 Great Nail Art Ideas is Geeks! I hadn't done a Harry Potter in a very long time and had this one in mind to try, so I figured now would be a great chance! 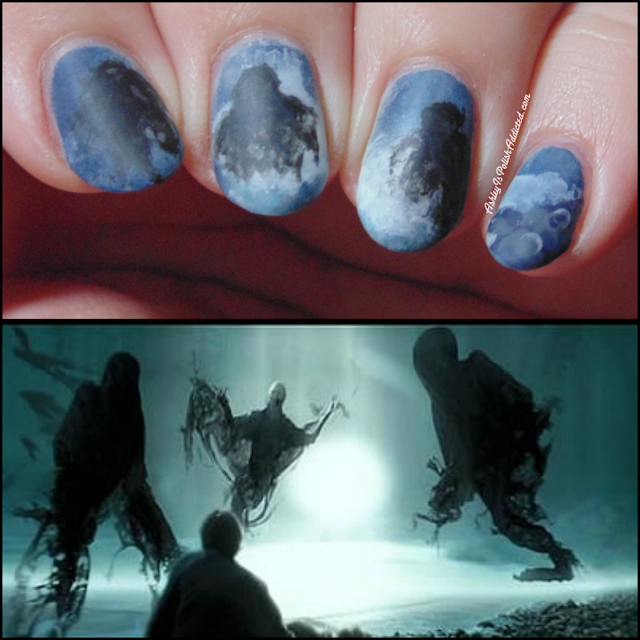 So for today I created some dementors from Harry Potter! I am back with my final look for Digit-al Dozen Autumn Week! I am squeezing in by the skin of my teeth, but at least I made it! I asked a friend to name things she thought of when she thought of Autumn besides changing leaves and she mentioned s'mores and I ran with that idea for this look. Hello lovelies! I'm sorry I haven't posted the last couple of days. 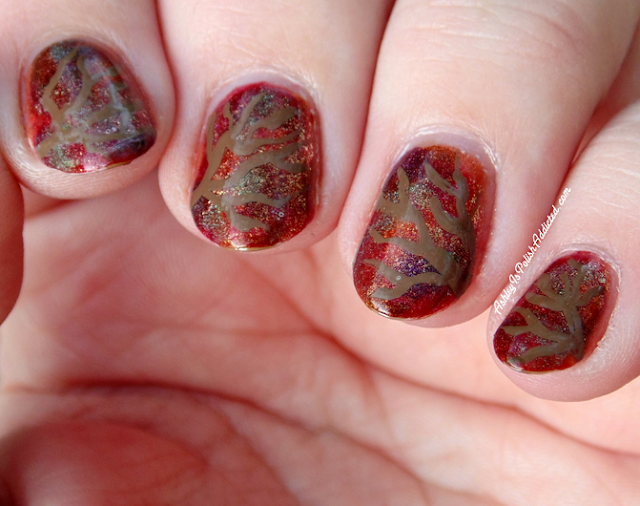 Life threw me some unexpected curve balls so I am behind on my Digit-al Dozen posts, but I'm back with another Autumn manicure today! I really love how this one turned out! Happy Saturday, everyone! 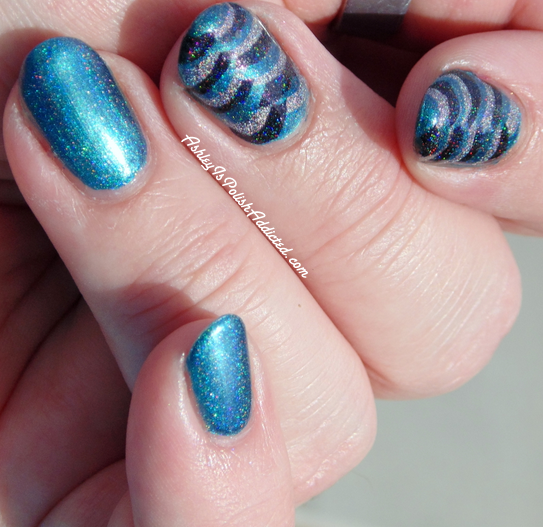 I'm back with the Crumpet's Nail Tarts to bring another week of 40 Great Nail Art Ideas! I was originally just going to participate in one half of the challenge but I think I lost my mind and decided a few days ago to jump in with both feet and do both halves, which means one mani every week for this year-long challenge! This portion of the challenge has everyone using the same color prompt, but with varying techniques. My technique this week is fishtail braid and I'm pretty pleased with how it turned out! Especially since I have not done very many fishtail braid designs before. Happy Thursday, everyone! Today is my Friday so I am extra happy! 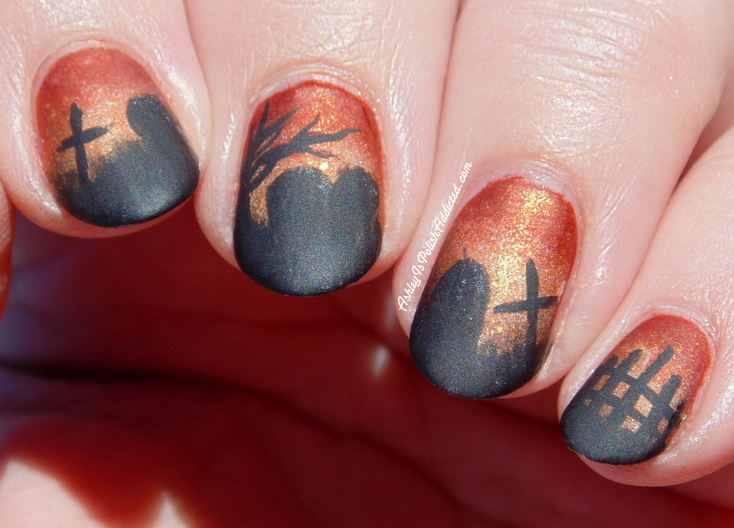 I have some fun Halloween nail art for you. Lindsey from Wondrously Polished and Kelli from The Nail Polish Challenge have started a nail art challenge called Themed Thursdays. I missed the first week, but I am super excited to join in this week! You can find out more by clicking on their links above! The theme this week is Graveyard/ Haunted House and I'm pretty happy with what I came up with! Hello and happy weekend! There is a brand new nail art challenge starting today and I am very excited to be taking part! 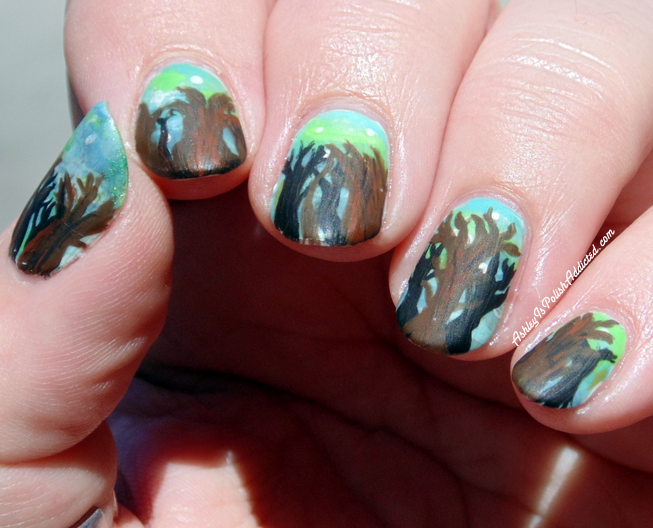 40 Great Nail Art Ideas is the newest challenge from Crumpet's Nail Tarts. This week's theme is hobbies and I decided to go with music! Hello! Today is the first day of October and I could not wait to post some Halloween nail art! This mani isn't blatantly "Halloween" but it was definitely created in the spooky spirit of the season! The inspiration for this nail art was found in quite an unusual place so keep reading to find out more!